← Take a Look at Yourself, What are you Creating? Do you know your thoughts and actions affect the weather & environment on Mother Earth? The human body is a storehouse of energies. Some of these support our lives (the positive energies) and some burden us (negative repressed emotions). These imprints within us actually impact on the planet because we exist within her energy field. When we hold on to negative emotions, they are stored somewhere in our bodies. This stagnates and burdens us. If we do not clear these energies, they will eventually make us sick either mentally, emotionally, or physically. So to Mother Earth! A great little analogy is we are like fleas on Mother Earth’s back. If we are full of negative thoughts and feelings, energetically we become mean and nasty, inflicting burden onto Mother Earth. We essentially burden her the more negativity we create within ourselves. She is sensitive to what is happening on her, just like we are sensitive to what happens within, on, and around us. One of the ways Mother Earth gets affected by our negatives is through human thought forms. 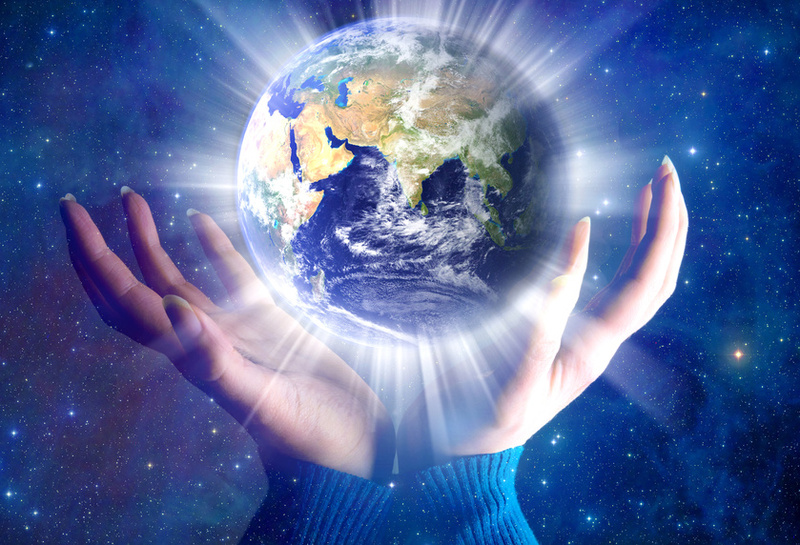 Our negative thoughts and feelings change our internal vibration, in so doing change the way we impact on Mother Earth. It is like when we have a negative imprint within ourselves, this affects our overall vibration, which in turn changes our external reality. We are in a sense like a little imprint in Mother Earth’s energies. If we are negative in energetic quality it has to impact on her. So how does Mother Earth cope with and clear the negatives we impose on her? How she goes about clearing these energies is by releasing them through climate responses. Bad storms, tidal waves, earthquakes, all of these things are negative energy releases that have built up within her. By releasing them she is being loving to herself. This may sound crazy but our negative fear-based emotions drive the weather on the planet. When I became aware of this recently, it changed my understanding of how connected we all our to Mother Earth. Just like our emotions affect the people in and around us, so to our emotions affect Mother Earth. Knowing this now, I see the importance of being loving in my energy creation, not only for my personal experience, but for everyone and the planet as well. I encourage everyone to do their best to resist giving energy to fear-based non-truth in their lives. Support yourself and Mother Earth move through our ascension in a more peaceful and loving way by creating loving energy. I often sit in meditation and feel love for Mother Earth knowing she is a part of me, and I a part of her. I direct and feel love for us both within this sacred union. By keeping your attention, intention, and creation on love for the whole, you move more into alignment with the vibrational shift that is occurring. By creating love in this way, you play an active role in experiencing more loving experiences externally, including what is happening on Earth. Your reality starts to be coloured with love. Regardless of what may be happening elsewhere you will experience this positive existence. A beautiful meditation to support a more loving experience for yourself and the whole is my 2 part consciousness meditation. Below is the meditations. Try them for a week or two and see how you feel. This entry was posted in Uncategorized and tagged Acension, consciousness, consciousness shift, Divine Love, energy shift, enlightenment, Heart Resonance, higher consciousness, law of attraction, planetary ascension, spirituality, starseed, trevor gollagher, universal consciousness, universal field. Bookmark the permalink.